I was also responsible for the boot box designs. I photographed a beautiful horse with dappling and applied the photo to the boot boxes with the simple gold logo and burgundy. 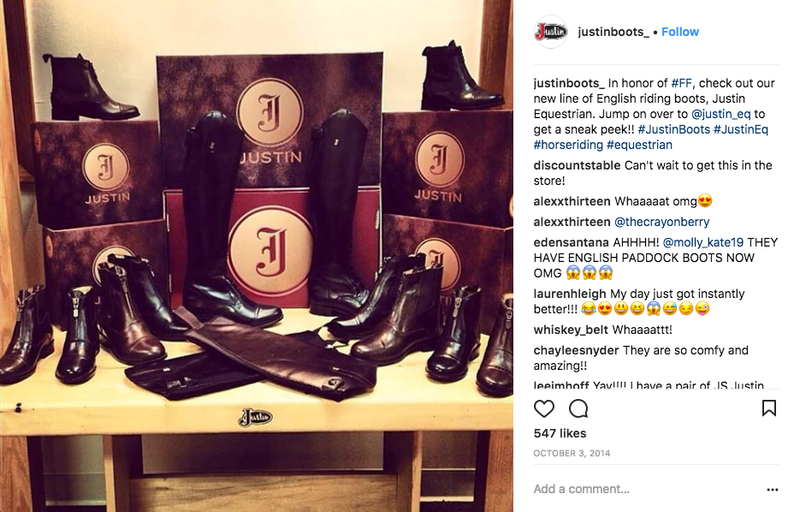 The production team led by Taylor Potts and Aaron Youngblood at Balcom produced this video to explain how to find the right fit for these riding boots. I had a fun experience getting to do the voice over audio.